Sorry for the delay in getting this next post up! As you can see, I have been busy creating the first of several new designs that will be out for Fall Market in October. This first little dress is called Juliet, and will be featured as a hip length tunic in addition to the above and below knee lengths pictured here. My Sabrina Tunic has been such a hit that it inspired me to design another of these versatile articles of clothing. They are so easy to sew and fun to wear. It never fails that I get compliments whenever I wear one of them! These are great to wear, especially where the weather stays moderate (if not pretty darn warm) most of the year. I find that they look equally nice with a cropped jacket or shrug. As a follow-up from the last post, once you have made a few skirts as a first venture into the world of garment sewing, the tunic/dress is the next step. They do involve a couple more facings (for the armholes) and the addition of a zipper, but overall they sew up quickly and make excellent use of large scale prints. I personally prefer the look of an invisible zipper, but you can choose to add a conventional one if you like. There are many websites that offer illustrated instructions on how to put in an invisible zipper and once you have done it a few times, they are a snap! I have really enjoyed designing this type of clothing because it lends itself so well to different types of embellishments....add a ruffle here or there or a tie at the waist and it totally changes the look. The green dress pictured here features a great silk rose pin from Artemis Silk. You can also change the look by the number of fabrics used. It is fun to see how many different fabrics can be used here and there and it certainly justifies falling in love with a fabric line that offers several coordinates! 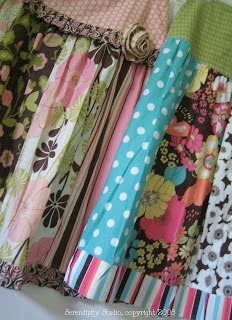 The fabrics picture here are Westminster's Amy Butler line, "Midwest Modern" (pink floral), Free Spirit's Robyn Pandolf line, "Flirt" (lime green floral), and Moda's Deb Strain line, "Daydreams" (black and white). Next is the Francesca skirt. 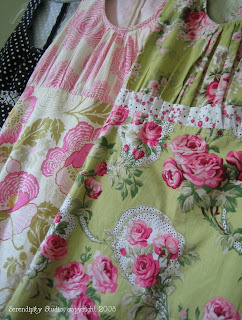 It features a yoke with a gathered multi-panel skirt. Again, these are just the first two variations that I have come up with....there will be several more offered in the pattern when it comes out for fall. This great skirt is of the A-line persuasion and is pattered after the Emily skirt in my Boutique Chic line. 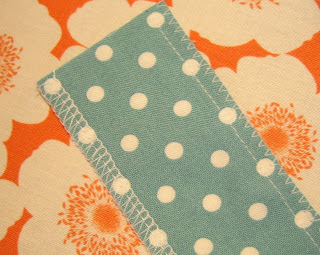 I have made several modifications to this pattern and feel that it takes on a brand new look with the changes. I am excited about this design and know it will be a big hit as well! 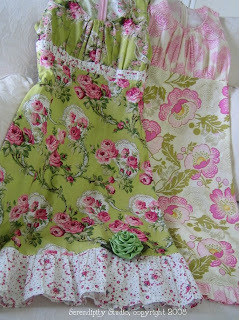 **Notice the great fabric rose featured at the yoke's seam line....the pattern will include instructions for this baby! The fabrics featured here are Moda's Urban Chiks line "Summer in the City" (Bright prints...sorry, it is no longer available. I had some left in my stash!) 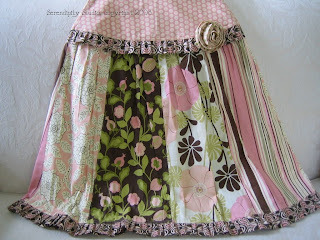 and Benartex's "City Girl" (pink & brown florals) line. So.....that is a sneak peek into the trouble I have been into (not to mention other things) for the past couple of weeks or so. 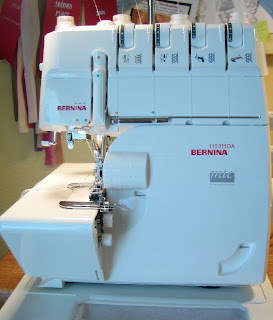 I hope you are finding plenty of sewing trouble to get into as well!